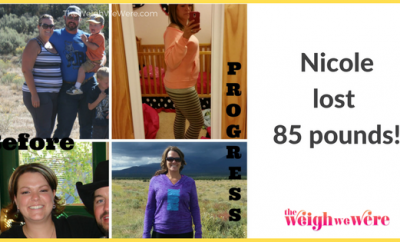 Losing weight is a personal issue that many of us are struggling with. Socialworksarah says she’s done it all. 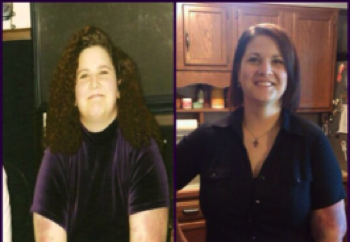 She’s gone from extreme dieting methods to learning how to lose weight the healthy way. 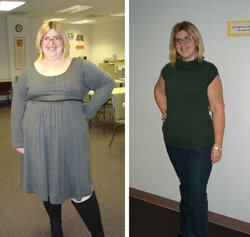 She started counting calories and incorporating a weekly exercise routine and lost over 130lbs. 1. What made you decide to lose weight this time? Did you have an “Ah Ha!” moment? 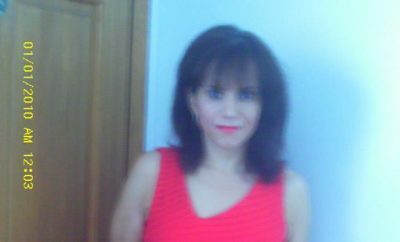 I was very unhappy with myself and I had gone through a break up of my engagement very close to my wedding date. I felt I needed many changes in my life both inside and out. I just felt like I couldn’t keep living the way I was so I had two choices in my mind. Stay the way I was and be okay with it or change. I decided to change. I did not have an “ah ha” moment. It was more like standing at the cross roads for me. Previously I had lost a lot of weight in college by swimming 3 days a week and walking to classes. I have tried to starve myself and over exercise as well as other dysfunctional/eating disordered methods. This time it was about doing it the right and healthy way. It was about learning to take care of myself, not hurt myself. I started working out at least 4 days a week. I went to drinking more water and now its almost the only thing I drink. I got myself away from refined sugar so my body wouldn’t crave it anymore. I started eating more fiber. I went to my doctor to make sure I was doing things the healthy way. I also was participating in therapy because of my broken engagement and my therapist was very helpful in helping me deal with my eating disordered thoughts. Most importantly I told myself this was a lifelong change, something I plan to do for the rest of my life. RELATED: From Plump to Pumped! Calorie Count helped me a lot. It gave me direction and a way to keep track of my eating and exercise so that I could see how much or how little I was eating and adjust. It gave me a space to write about my experience, whether other’s read it or not I had the opportunity to talk about my experience. I have to say that participating in the Challenges was the best social feature. The two Challenges I participated in gave me a lot of direction in how to eat healthy and were very motivating. I even won one of them. It was the best experience! Doing it the right way and not giving into the old harmful ways of losing weight which were a way of not dealing with my emotions. Also other people can be challenging, because some people just want you to stay the way you are, even if you are unhappy. People also have lots of judgements about what you should and should not do when you are losing weight. I have also been accused of having gastric bypass because I have done so well. Learning to not take these things personally has been a challenge. Well I have a skewed body image so I am not the best person to be asking this question. My body image is still catching up with reality. But I would say that others started to notice about 2 months after I started to change my lifestyle. I started to notice about 4 months in when all of my pants were way to big and were almost falling off. I started to realize when I hit the 100lb lost mark. You can’t ignore it anymore when you lose that much. There have been days when I don’t recognize myself. Another moment was in December 2008. My mother took me shopping at Alfred Dunner. The previous Christmas she got me size 3x’s. This time the majority of the tops were a misses small! I even got a size 12 skirt! It’s just amazing! I don’t tell myself “you can’t have this or you can’t have that” that only leaves you feel deprived and lonely because you can never go out to eat. I eat everything within moderation and ask myself do you really want this, before I choose to eat it. I also make healthier choices when I eat out. Furthermore, I am able to identify my eating disordered thoughts that tell me to restrict my eating and address them. I have more energy, I am happier and feel better about myself. I breathe a lot better too. I’ve changed in so many ways it makes me teary eyed just thinking about it. I am just a better me all around having made this decision to change. Work on your emotional issues as well as your weight loss. Don’t isolate yourself, find others who understand and support your weight loss. 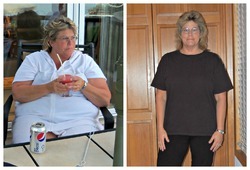 Next Story → How I Lost Weight: Marnita Loses An Amazing 172 Pounds Over The Age Of 50!